Yay pokemon go is out in many countries! 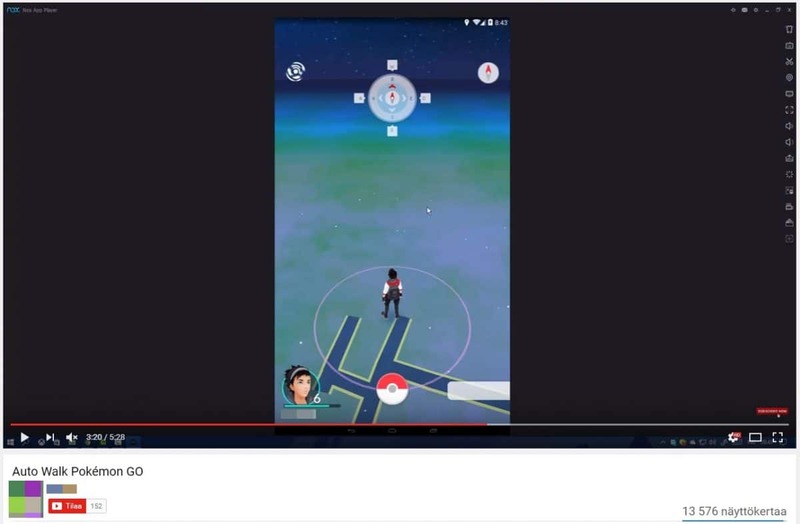 Earlier i made a tutorial how to stream pokemon go with facecam and layouts and there has been some awesome people using that.. Glad it helped out! But there seems to always be some folks also that ruin the good games with cheating and especially with spoofing in Pokemon GO. Tricks the system so that people can travel to different areas and just sit home. With some programs they can even add certain addresses and travel there immediately. Some use latitude and longitude to travel to certain places. So they can catch pokemons at any given time anywhere. Is this okay? For Twitch or Niantic? Don’t do it. Play fair. Pokémon GO is meant to be played on a mobile device and get you outside to explore your world! Methods of cheating, unfortunately, are limited only by cheaters’ imaginations, but include at a minimum the following: using modified or unofficial software; playing with multiple accounts (one account per player, please); sharing accounts; using tools or techniques to alter or falsify your location; or selling/trading accounts. Any activity, such as cheating, hacking, botting, or tampering, that gives the account owner an unfair advantage in a online multiplayer game, is prohibited. This also includes exploiting another broadcaster’s live broadcast in order to harass them in-game, such as stream sniping. How can you help to report Twitch streamers? There has been quite a lot of folks talking about this thing in reddit and other forums and suggesting folks to report all of the twitch streamers that are using GPS spoof programs. But there is also people reporting totally legit streamers that don’t use cheating programs and actually buy incsense to catch pokemons at their home. When someone just hits that report button. Someone at Twitch needs to watch that whole VOD if you haven’t included any timestamps or spots where the actual cheating is happening. This takes precious minutes and maybe hours that could have been used to catch the bad cheaters. This wouldn’t be a problem if there would be unlimited amount of people actually working with these reports but there is a limit how many they can go through a day. According to a Twitch Admin who was kind enough to offer some insights for this subject is that over 95% of the staff doesn’t have nothing to do regarding the moderation. You can read up on that over here.. So how can we make detecting cheaters faster? I’m going to share some tips for you that i have used and continue to do so. It’s good thing to note that not everyone know every language so if you are seeing streams that speak for example. : German then it’s best to create the report in a way that even a person who doesn’t understand any German can understand that he/she is cheating. Screenshots: If you can catch someone having their title saying that they are spoofing it would help out. Screenshot of the actual streamer saying that he/she is cheating would also be really good. If you don’t have a screen capture program. Gyazo is pretty neat program that you can use. 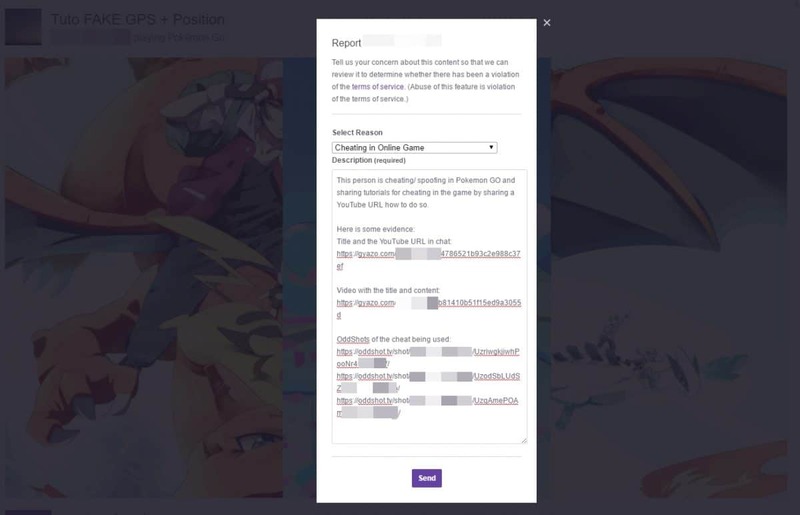 Oddshot: If you already don’t have the add on you can get it by clicking here.. From streams we are going to look for spots where the streamer is actually cheating and the name of the character so we can report that person for Niantic also. Since they need to see the username so they can ban that person. 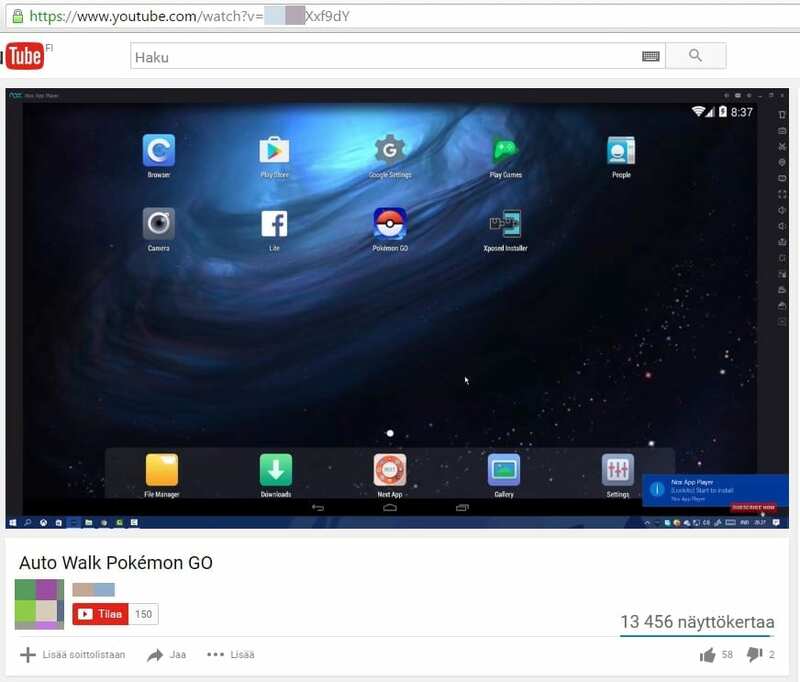 Step 1: Find a stream that is most likely cheating and take a screenshot. The title looks pretty obvious but it isn’t enough for a ban just yet. And we don’t even have the name so we can report the actual player. But it’s time to investigate! Okay so he is sharing latitude and longitude in his chat. This is pretty shady.. But still not enough for a ban. There is also a YouTube video link.. Let’s check that out.. Okay so now we got the cheater! He is sharing cheating guide for his viewers. This could already be enough for a Twitch Ban but this isn’t enough for Niantic just yet since they don’t know the username. Step 2: Oddshot the cheating couple times to make sure that it isn’t just GPS going crazy. Oddshots record a 40 second clip. 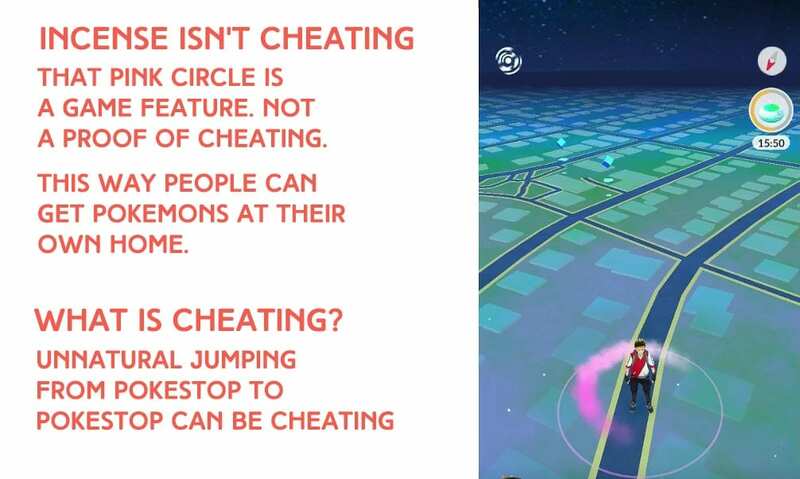 When you use this at times when there is movement happening and there is clearly a unnatural way of running to pokestop to pokestop the cheating is more visible. Your clips are going to look better than these gif:s.
Step 3: Waiting game.. This cheater is hiding the username so well that it’s hard to spot. After watching the stream for whole 40:mins. It seems that this is a smart cheater and doesn’t show the spots that we could see the username at all. This could have been the spot where we could have notified Niantic about the cheater. We should have enough evidence for the report to Twitch though. So let’s do that. This should be enough for Twitch staff to notice that this streamer is cheating. I’m pretty sure that they can even watch VOD:s that have been deleted by the user also. So that might help out to rule out the cheaters. If you didn’t already know you can report the users that are cheating by clicking here.. I checked out the YouTube video again and noticed that there actually was a spot where the person showed his trainer name in the YouTube video. Maybe he is still using the same? This process took me about 1 hour and little more while i was creating this article at the same time. 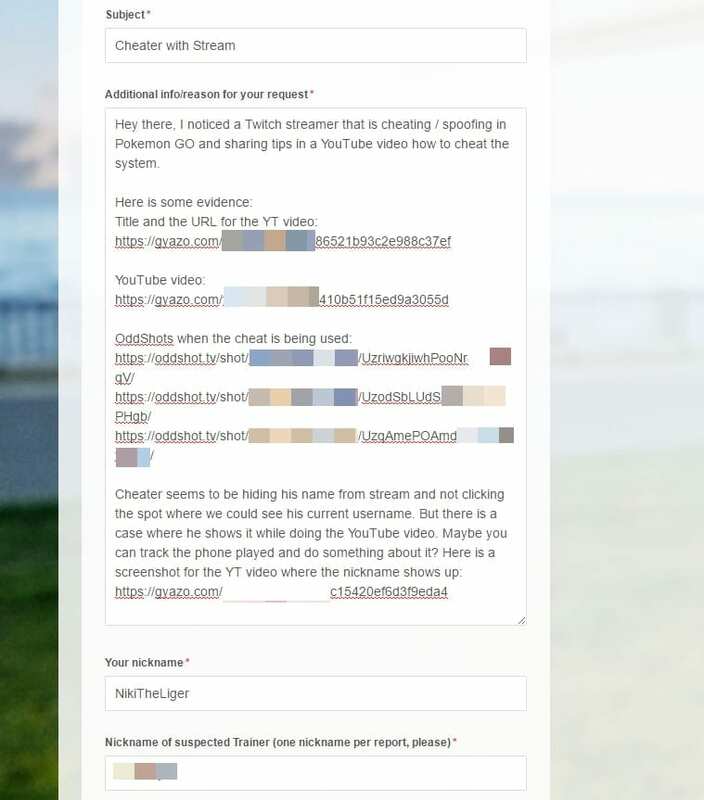 Hopefully this kind of style helps out the Pokemon GO community and twitch Admins working with the reports to deal with the cheaters faster and not use that much of their own time to watch the VOD:s.
NEW: This process can be a lot faster for you not every cheater hides their trainer name. We could have done the report for Twitch already in under 20 minutes. That can help out to deal with the reports faster. You do not get any notifications if the user was banned or not. There is a good explanation of the process at the Reddit Wiki about the process. Be awesome! May your pokeventures be fruitful! 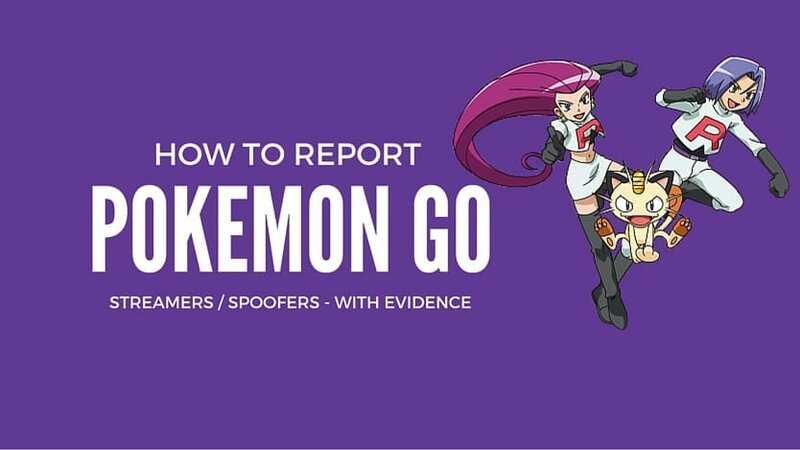 Hopefully this little guide helps you out to report those cheaters so we can get a cheater free Pokemon GO going on 🙂 Stay safe and have fun fellow trainers!